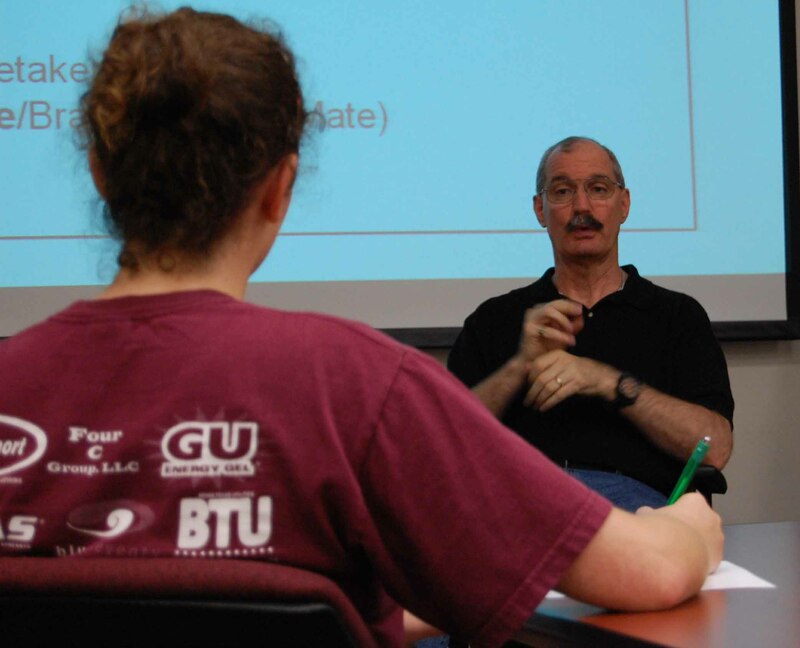 Disability Services offers sign language interpreters, transcription services and assistive listening devices for academic purposes to qualified students registered with the department. Disability Services has sign language interpreters on staff and can contract with additional interpreters as needed. DS employs certified interpreters who are able to offer sign language interpreting in ASL, PSE, and English. DS also offers oral interpreting. Disability Services has transcriptionists on staff and can also contact transcription services (also sometimes referred to as real-time captioning, C-print, Typewell, or CART) with community agencies. Sign language interpreters and transcriptionists are provided, to qualified students registered with the Department of Disability Services, for access in the classroom and during other assignments related to their required course work at no additional cost to the student and/or department. An Interpreting/Captioning Request Form is available to request additional services for academic course requirements outside of the regularly-scheduled class time. Requests for sign language interpreting and/or transcription services for non-academic programs or events should be directed to, and handled by, the sponsoring entity. Disability Services can provide information on local interpreter/transcription service agencies in the area to the sponsoring entity. Payment for interpreter/transcription services is the responsibility of the sponsoring entity. Assistive Listening Systems (ALS) are amplifiers that bring sound from a transmitter directly to a receiver. Use of an assistive listening device (ALD) can help to reduced background noise and allow for control of amplification for individuals with hearing impairments. Most large classrooms and auditoriums at Texas A&M University have assistive listening systems built in to the room sound system. Headset receivers and hearing aid compatible receivers can be borrowed from Rudder Theater Complex for use in Rudder Auditorium and Rudder Theater. Other rooms in the University Center (Memorial Student Center, Rudder Tower and Koldus Building) can be equipped with an ALS by request through Rudder Theater Complex. Most large classrooms are already equipped with assistive listening systems that broadcast on the 72mhz frequency. Classrooms managed by Instructional Media Services (IMS) have headset receivers and hearing aid compatible receivers that can be borrowed directly from IMS. Classrooms managed by the College of Engineering (Zachry, ETB 1005, 1006, 1013, 1027) can be borrowed from the Engineering IT group. Most of the large venues (Reed Arena, Kyle Field, Olsen Field, Davis Diamond) has assistive listening systems available. Headset receivers and hearing aid compatible receivers can be borrowed from guest services at each venue. Qualified students registered with the Department of Disability Services can sign out a personal ALD from Assistive Technology Services to use in classrooms without built in systems and for other campus activities.